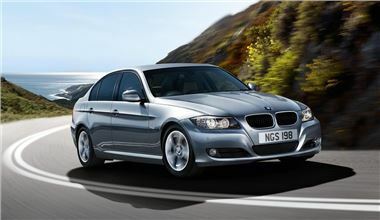 The BMW 3 Series is the most reliable company car in the UK according to a survey of the country's 50 largest contract hire companies. But Honda has the best overall reliability record as a car manufacturer. The annual survey also names the Ford Transit as the most reliable commercial vehicle, with Ford as manufacturer of the most reliable vans. The FN50, published by leading industry publication Fleet News, is an annual report on the UK's contract hire and leasing industry. In part of the survey, companies were asked to nominate the most reliable cars and vans on their fleets. The research included 1.5 million vehicles owned or managed by the top 50 leasing companies in the UK. The Honda Accord takes second place behind the BMW 3 Series, followed by the Audi A4. German and Japanese brands dominate the top 10 cars, although three of the Japanese brand cars that feature are built in the UK. The Nissan Qashqai, produced in Sunderland, is the highest placed British-built car in fourth, while the Burnaston-built Toyota Avensis is in eighth place, followed by Swindon's Honda Civic in ninth. There are also British success stories in the commercial vehicles' top 10 with Southampton's Ford Transit at the top of the table, followed by the Mercedes-Benz Sprinter in second place and the Ford Transit Connect in third. The Luton-manufactured Vauxhall Vivaro is eighth in the commercial vehicles table. As well as the highest placed British-built car, Nissan also produces the UK's most reliable pick-up truck with the Navara taking seventh place in the commercial vehicles table - the only pick-up in the top 10. Fleet News editor Stephen Briers said: "Businesses that depend on vehicles take reliability very seriously, and can't afford downtime through breakdowns that incurs extra costs. "This is the largest reliability survey of its kind, so any vehicle with a top 10 placing will represent a safe bet for any organisation or private motorist."